Are you a Babywearing Mom, who holds her child close to her heart in the hopes of raising a secure and confident individual? Maybe you’re a Tech Mom, who uses all these cool gadgets to manage her daily schedule and stay connected with everyone else’s? Or perhaps you’re a Mompreneur, who juggles the many demands of building a business and raising her children? Expo Mom 2012 : The Best of Modern Motherhood, happening on May 5 and 6 Saturday and Sunday at the Rockwell Tent, celebrates the many faces of modern motherhood—Fit Mom, Tech Mom, Babywearing Mom, Belly Blessed Mom, Breastfeeding Mom, Earth Loving Mom, and Mompreneur—by putting the spotlight on the latest products and services designed to provide solutions to their many concerns. 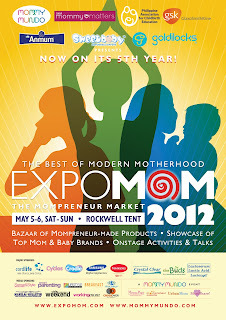 Expo Mom 2012 is the only lifestyle event of its kind created especially for mothers. “Being a mom today is so different from what it was before. For starters, we have access to all this information. We now know that caring for our children starts from Day 1 of our pregnancy. We now know that the best way to take care of our family is to take care of ourselves first. We also know that technology, while allowing us to make full use of our time, is a double-edged sword as it has exposed our children to materials that they may not yet be ready to see,” observes Janice Villanueva-Crisostomo, founder of Mommy Mundo, a dynamic organization devoted to empowering and engaging mothers through unique concept events and publications. 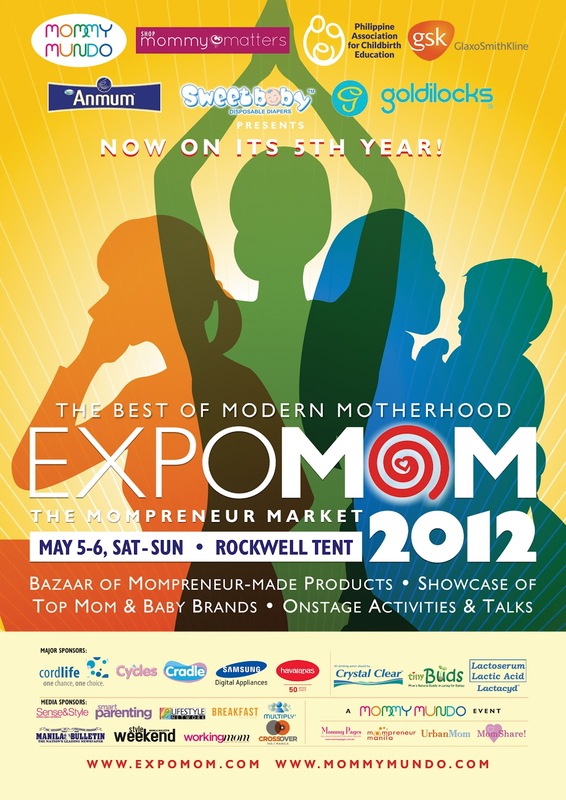 Mommy Mundo has been organizing Expo Mom since 2008. Complementing the trademark mom bazaar of products and services is a barrage of interactive sessions addressing the concerns of the various modern mom personas. For the Fit Mom, there will be talks on the latest health trends like shifting to organic diets, raw food, or fitness programs like TRX and the like. Guest Mompreneurs will share their success secrets. Mommy Matters will also be launching its newest campaign, celebrating the beauty of real moms.